We have introduce several protective cases that can turn our iPhone 4 into a classic digital camera, but if you prefer vibrant colors, the iCam iPhone 4 case may be more suitable for you. 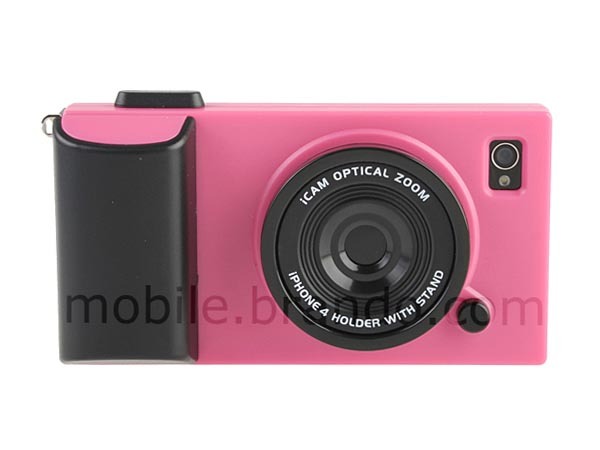 iCam is a camera styled protective case designed for iPhone 4. As we can see from the images, the iPhone 4 case features a compact camera look, and comes with many subtle details such as the extendable lens, the shutter, while using the accompanying neck strap, you can also take your iPhone 4 conveniently. 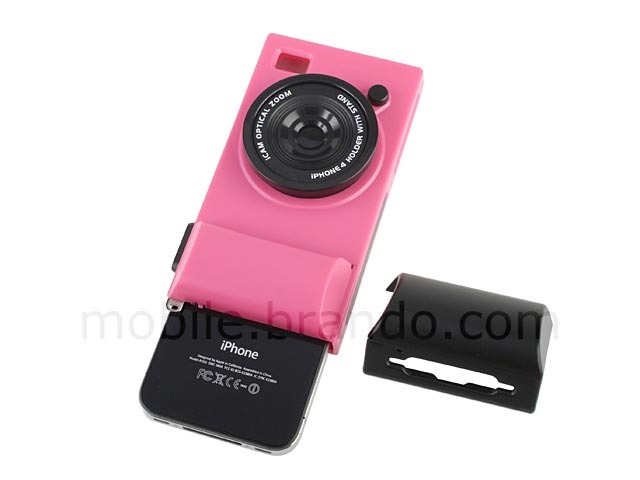 And the extendable lens doubles as a practical iPhone 4 stand supporting landscape viewing mode. 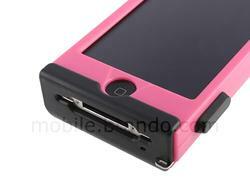 Of course, the hardshell construction can protect the iPhone 4 from scratches and bumps. 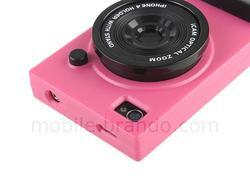 Apart from that, the custom cutouts allow you access to all the iPhone 4 buttons and functions. 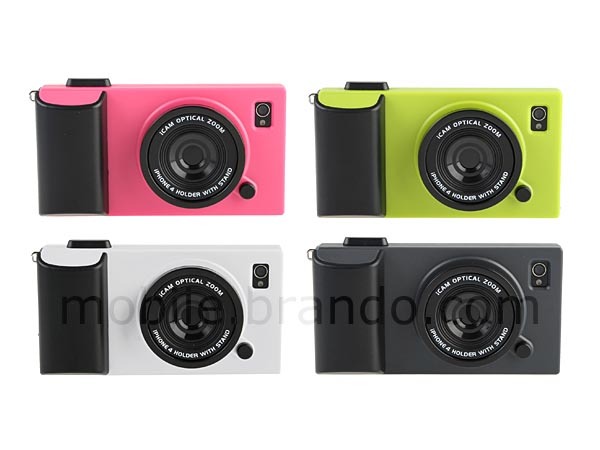 The iCam iPhone 4 case is available in 4 colors, including pink, green, white and black, each one is priced at $16 USD. If you’re interested, jump to Brando for more details. Additionally, if you need other options, you might like to check the 3D printed iPhone 4 case, the wood iPhone 4 case and more via “iPhone 4 case” tag. 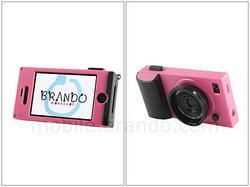 We found the camera styled protective case on Brando.